Melkevoll Bretun have various types of cabins and flats for hire. 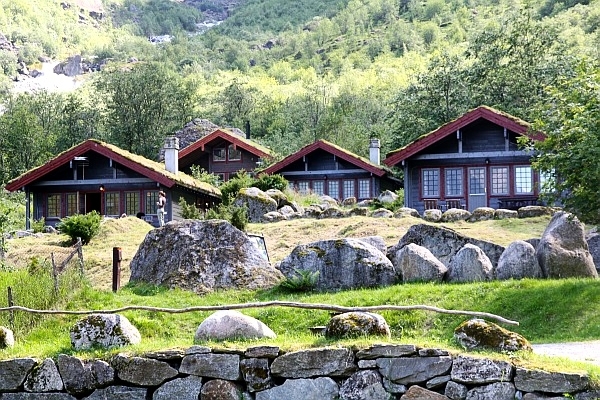 Our holiday cabins and flats are very popular, all with a view to the mountains, waterfalls and glacier arms. The three camping cottages offer a cosy atmosphere, and it is very short distance from the cabins to the service building and kitchen. 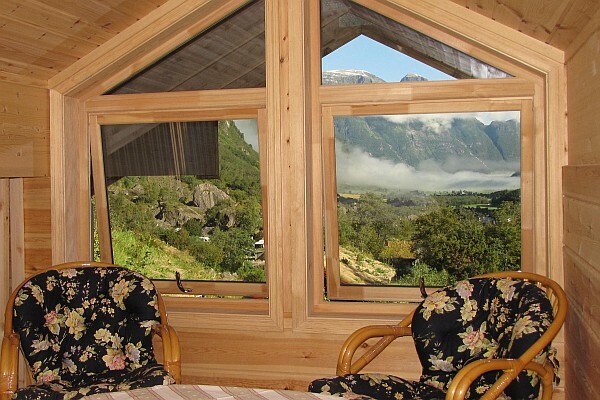 HOLIDAY CABIN 1 to 4 with view to mountains, glaciers and waterfalls. Waterfall "Volefossen" next to the cabins. Our three holiday cottages have been very popular for many years, and are a comfortable option. Three double bedrooms - bedroom 1 has a double bed, bedroom 2 has a bunkbed and bedroom 3 has two single beds. (6 persons) – Possibilities for an extra bed and children’s bed. Views of Melkevoll glacier, Briksdal glacier and Oldevatn (the lake). Starting point for mountain hikes in the national park. Overview Cabin 1, 2 & 3 to the left. Overview Cabin 4 to the right. A newly built cottage. This one has three bedrooms and sleeps up to 8 people. Possible to borrow children’s bed. 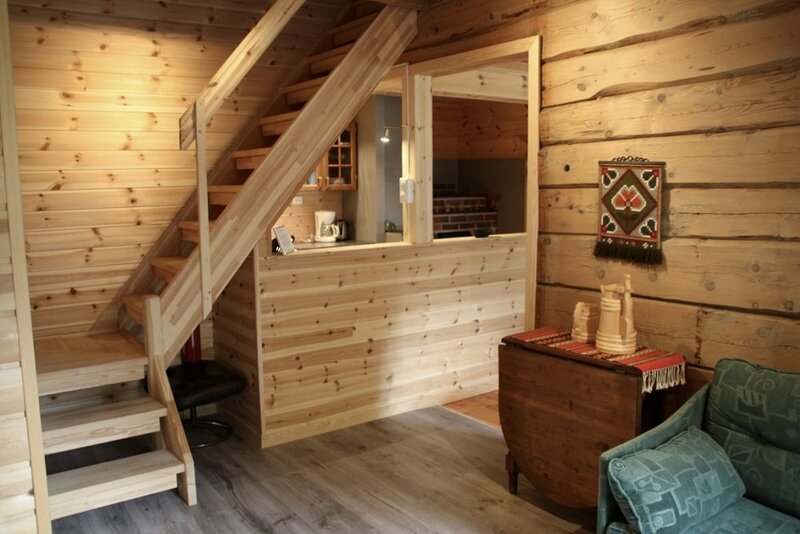 In addition to the same facilities as cabin 1-3, this cabin is convenient for people with a handicap, it has a wood-burning stove, a heat pump and a dish washer. Large bedroom, and a cosy corner with chairs and table with special views. Very large cabin with beautiful panoramic view to 3 glaciers and several waterfalls. You can sit on your balcony and enjoy one of the most amazing places in the world. In July sun is behind mountain range in the evening. Short walk to Briksdalsbreen. A lot of tourist buses comes to this glacier, but from Melkevoll you have enough distance to avoid the hectic activity on the main road. Water in the river is very clean. The air is unbelivable fresh. Fill up your lungs. The old main house on Melkevoll was renovated in 2015 and now has two flats for hire.The house was built in 1907 and you can find the house at Melkevoll farm, about 1.5 km from the reception. "Instestova" can be rented for shorter periods. Large entrance hall where you also find the bathroom to the left, with shower, toilet and washing machine/dryer. In the entrance hall, we also have a double sofa bed. Terrace with wonderful views of the Melkevoll glacier and Volefossen (waterfall). Two double bedrooms, one with a double bed and one with a two single beds. Three double bedrooms, two with a double bed and one with a two single beds. The camping cabins have been part of the camp for a long time. There are many memories in its walls! 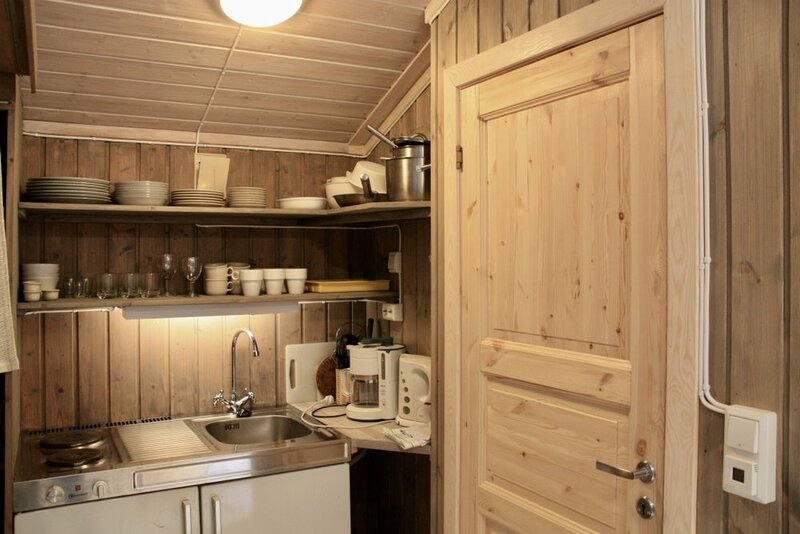 20 m to a kitchen in «Utelada» with barbecue, bonfire and tables.